For a fun time at the range by yourself or with family and friends, grab a case or two of this Federal Top Gun 12 gauge ammunition! These low-recoiling, inexpensive 2-3/4" shells fit a wide variety of popular shotguns and fire an ounce of #7.5 birdshot at 1180 feet per second, making them ideal for a variety of sporting purposes. 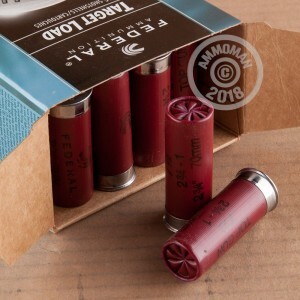 Top Gun shotshells are designed for various types of clay shooting and are loaded at Federal's headquarters in Anoka, MN. They're also great for low-cost target practice. 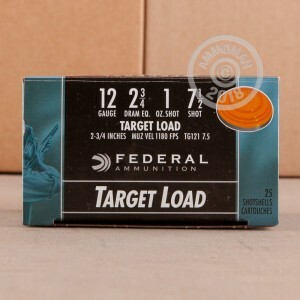 For extra fun at the range, grab a couple of these 250-shell cases and get FREE shipping from AmmoMan.com!